Learning can't occur until basic needs are met, mainly fresh water. The goal of this project is to build a well for a school and it's surrounding community. Every week during the school year, a group of students at New Trier High School meet to bake homemade muffin tops after school. 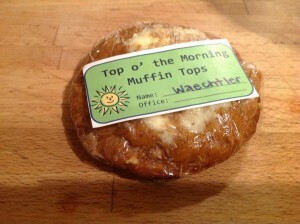 This project, "Top o' the Morning Muffin Tops," gets the faculty and students at school excited about helping another community across the globe. Please join us to build this well together and give hope to children who deserve it the most.